Yesterday, LG Electronics launched its new flagship smartphone “LG G2” powered by Android Jelly Bean in India at a price of Rs 41,500 for the 16GB version and Rs.44, 500 for the 32GB version of the LG G2. 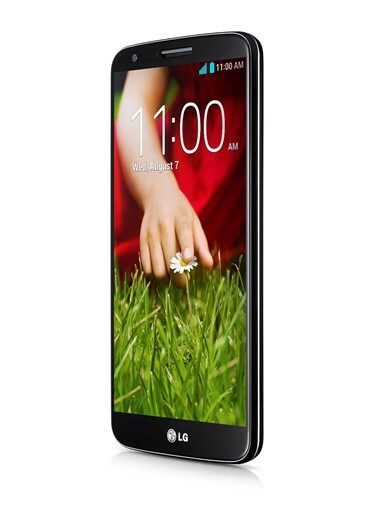 LG G2 is equipped with the 5.2 inch display screen and Qualcomm Snapdragon 800 Processor and in fact it is one of the first smartphone to feature the Qualcomm Snapdragon 800 Processor. The Phone also comes with 2GB of RAM, 13 MP camera with built in Optical Image Stabilization and the option of the 16GB or 32GB storage. An interesting aspect of the LG G2 is the placement of the buttons on the smartphone’s rear end which as per LG was built based on the insights drawn from the study from LG “Learning from You” which describes how most people hold the smartphone by placing their index finger on the back of the phone. Currently, the LG G2 comes with some of the preloaded softwares/features like Answer Me, Guest mode, Quick Remote, Knock-on, Slide aside etc. The Knock-on is a feature where the smartphone can be powered on by simply tapping twice on the display. The Guest mode lets the users to secure some of the files and deny access to certain applications in the phone for other users. LG G2 is priced at 41,500 for the 16GB version and Rs.44, 500 for the 32GB version and is available for purchase from various stores across India.